Clear, precise and inspiring, Theology for Beginners has been acclaimed as one of the outstanding modern introductions to theology. More than a compendium of the central doctrines of Catholicism, however, the book is designed to equip you with the information you need to understand key doctrines and to explain them to others. Along the way, you will find yourself falling more deeply in love with your faith and more confident of your ability to bring healing and hope to what Frank Sheed called "a society that is losing contact with God." Theology for Beginners will help bring the truth to life in your soul. 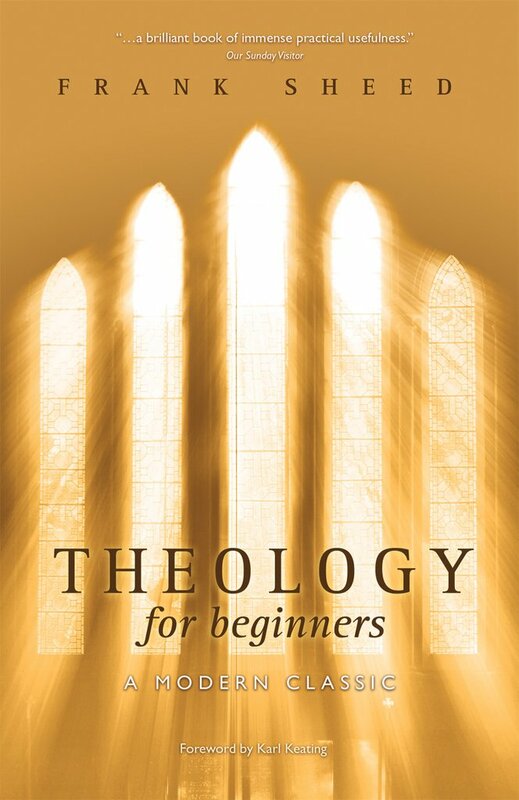 Theology for Beginners has been acclaimed as one of the outstanding modern introductions to theology. It is a clear, precise, and inspiring compendium of the central doctrines of the Christian faith. Frank Sheed makes the profound truths of theology not only understandable but exciting reading for the Catholic layman. A Servant Book. F. J. Sheed was one of the best-known Catholic apologists of the 20th century. He and his wife, Masie, founded the Catholic publishing house of Sheed & Ward, which published Dorothy Day, Jacques Maritain, Christopher Dawson, and G. K Chesterton, among many others. They were also outstanding public lecturers as part of the Catholic Evidence Guild.